Anna D. Thomason, age 91, of Pasadena. Beloved wife of the late Russell D. Thomason; loving mother of Helga Fortner; dear grandmother of Christina Fortner and Ellis Fortner, Jr. and great grandmother of Nikole Fortner. 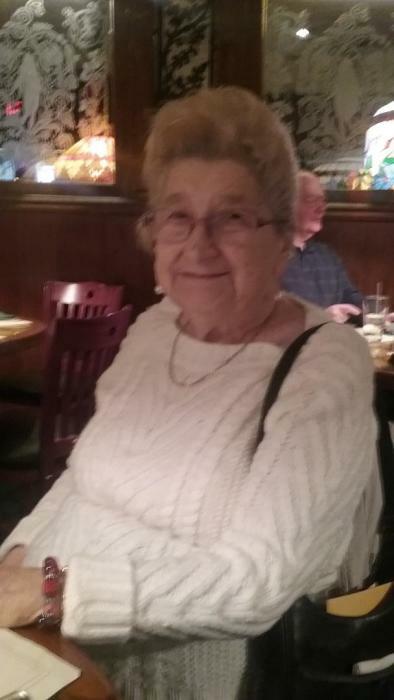 Anna was a member of the St. Jane Senior Club and the Stoney Creek Democratic Club where she loved to play Bingo. She also enjoyed knitting and traveling. Anna was born in Erlangen, Germany on January 9, 1927 and passed away at Genesis in Severna Park on October 29, 2018. She will be dearly missed by all. Family and friends are invited to call at the family owned and operated McCULLY-POLYNIAK FUNERAL HOME, P.A. 3204 Mountain Road (PASADENA) on Thursday November 1, 2018 from 3-5 & 7-9 PM. Where a funeral service will be held on Friday November 2, 2018 at 1 PM. Interment Private. In lieu of flowers please consider a donation in the name of Anna D. Thomason to your favorite charity.